Do you what is the similarity between call center industry and living organisms? Both continue to evolve for survival in their respective ecosystems as per the changes in the environment. The last few years saw incorporation of various new techniques which were necessary for the growth call center industries. Work from home culture is one of these techniques which are changing the face of this vertical. This technique is basically aimed to purge off robotic work environment which is usually seen in call centers. Let’s see every major benefit which makes it a vital technique in present scenario. This is the primary benefit linked to the adoption of work from home culture in call center. In every call center project, the level of customer satisfaction is directly proportional to the performance level of agents. And the performance of the agents is boosted through flexibility and comfortable environment. These all features are automatically provided through work from home culture. Therefore, this practice is directly linked to boosting the satisfaction level of end-consumers. 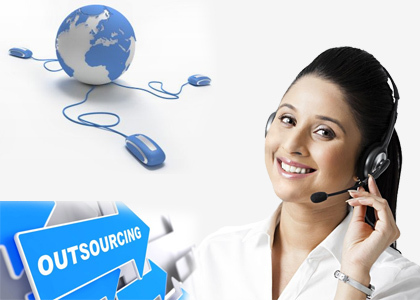 The company too saves a lot by introducing work from home format in their call center outsourcing firms. First of all, the expenses associated with electricity are saved which can be huge savings if number of employees is high. Also, savings related to hardware and software maintenance can be saved by the company. With the option of work from home, the agents are able to save a lot of money which is often spent during office routine. Some major expenses include transportation charges, office clothes and spending related to outside food. The work from home procedure gives more satisfaction to agents and they feel less frustrated due to nature of the job. As a result, employee turnover is minimized and also absenteeism is decreased. This ensures long term association of agents which is necessary for the success of project. Events like natural disaster may damage the call center workplace which hinders the project continuity. In these scenarios, work from home agents act as saviors for call center companies. They are able to continue to work from their homes ensuring that business is not closed completely after a disastrous event. Yes! The hiring of call center agents is not limited only to the local geographical area. Companies can choose the creamy layer from other states and even other countries. This definitely helps companies to get the most suitable candidates as per the requirements of the process. On the other hand, the individuals seeking job opportunities also receive more offers from different locations. Old workers, working moms and married people usually face some difficulties while balancing their personal and professional life. For these groups of call center agents, the work from home process is necessary to give more time to their family members. This is also effective way of working for people with some physical disabilities as they don’t have to face difficulties while commuting on daily basis. Companies are able to offer 24 x 7 supports much easily with the help of work from home agents spread across the world. This happens easily as different agents choose different timespans as per their comfort. These different timespans when combined covers 24 hours of the day which makes it easy for the company to offer the services round the clock. Call center companies can hire part time workers which can work to meet the demands of high call volume. These workers are needed especially during holiday season. These agents can be paid on the basis of number of minutes or number of calls attended. This also ensures that agents are not sitting idle when the volume of calls is quite low. How to ensure connectivity between managers and agents? Several managers and industry experts may criticize this emerging due lack of interaction between agents and managers in this form. To overcome this issue, the agents can be asked to visit the office once a week for meetings and evaluation purposes. Also, the video calling through computers or mobile phones can ensure that these agents and their respective team leaders are always connected with each other. All these amazing benefits prove that if executed effectively, the work from home culture will definitely will be accepted by both agents and companies. This is not limited only phone support. Various firms are also increasingly allowing their agents to work from the comfort of their homes for channels like social media support. Therefore, this form of culture will definitely become a new normal in call centers in upcoming years.